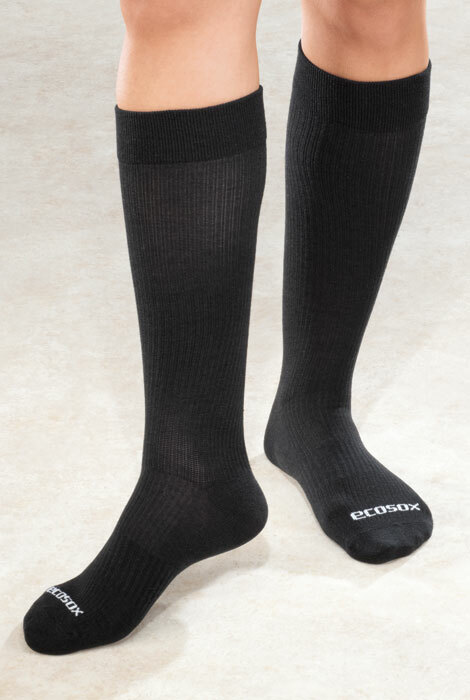 ECOSOX® bamboo compression socks improve circulation and reduce swelling. 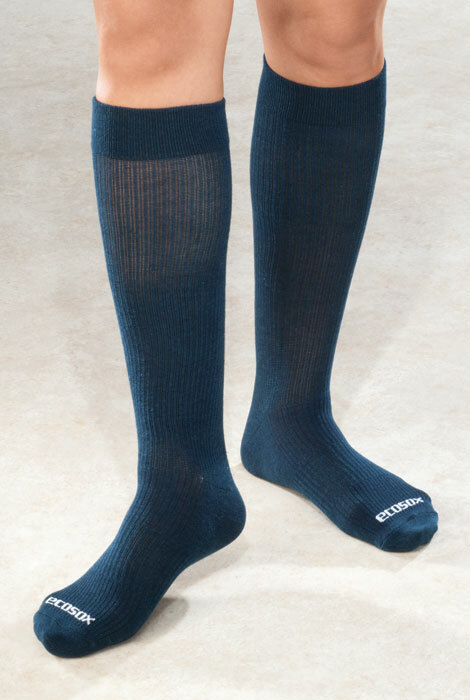 These mild compression socks have moisture-wicking bamboo fibers that keep feet dry and odor-free. The nonbinding top is ideal for diabetics. 85% bamboo viscose/11% nylon/4% spandex. USA/Imported. Order by shoe size: M (4-10 1/2), L (10+). I'm a nurse and on my feet all the time. I have two pair of these and they are great! I haven't been able to find them until I found this site. You guys rock! I recommend to patients for lower extremity prevention of swelling and clots during travel. I HAVE PROBLEMS WITH LEG SWELLING AFTER I AM ON MY FEET ALL DAY LONG AT WORK. I HAVE USED THESE SOCKS BEFORE AND THEY HAVE HELPED ME TREMENDOUSLY AND ARE EASY TO GET ON AND OFF. I HAVE HAD PROBLEMS FINDING THEM IN STORES, SO I DECIDED TO TRY ORDERING THEM HERE. I WOULD RECOMMEND THEM TO ANYONE WHO HAS TO BE ON THEIR FEET FOR LONG LENGTHS OF TIME! I have one pair and wanted two more pair. I wanted to try the bamboo socks. They are a great fit for my husband and super comfortable. He can wear them to work or just around the house! do you have white in these $10.00 sox? BEST ANSWER: Thank you for your question. These socks do not come in white. We hope this information will be of help to you. BEST ANSWER: Thank you for your question. 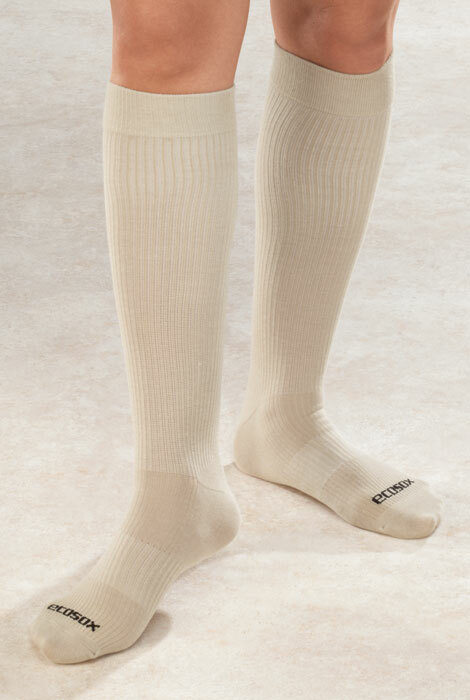 The size for Graduated Compression Bamboo Socks the are Medium, Womens 4-10 1/2 and mens 3-9, Large fits womens 10+ and mens 9-12. We hope this information will be of help to you. What size shoe does a med. fit? Are these for ladies as well as men? BEST ANSWER: Thank you for your question. Medium fits womens 4-10 1/2 and mens 3-9. We hope this information will be of help to you.